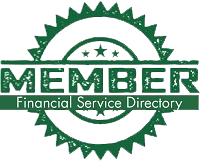 Jim Hitt, CEO of American IRA – A National Provider of Self-Directed IRAs, announces American IRA will be Sponsoring The National Hard Money Seminar For Hard Money Lenders’ on March 21st, 2012 in Fort Lauderdale, Florida. Financing is not easy to come by and ‘Hard Money Loans’ are an alternative way to get those much needed funds. While many people may think this is a tough situation, the truly seasoned investors are realizing that this economic climate is an endless sea of opportunities. Yes, indeed, they are making lemonade out of lemons! That’s correct, Self-directed IRA and Self-directed 401(k) owners are providing much needed capital to investors by loaning them funds from their retirement accounts. These individuals benefit because they receive interest on the funds they are loaning out. According to Lending Universe, hard money interest percentages vary from 9% to 16% depending on the location and condition of the property, the type of property (residential, commercial, or land), and the credit score of the borrower. The lenders take all of those things into account and then the two parties (the lender and the borrower) negotiate an interest rate they can both agree on. The investor borrowing the funds, is in an ideal situation, they obtain a private loan that they could not otherwise obtain from a bank and that gives them the much needed funds to purchase the assets they want. Some of these investors are then using the borrowed funds to purchase real estate at below market prices. Their long range plans vary from everything from renting the units purchased, to flipping those units, to holding those units for resale when the market is in a more favorable position. Whatever their plan, obtaining financing is a must. Tidal Wave Warning: Real Estate Investors know the Real Estate Market is Swelling with Opportunity! Grab those Real Estate Investment Opportunities and Get that Cash Flowing!